We wouldn’t get very far without our tires, so it’s important to make sure they are well-maintained. Bumpy rides can be a sign of tire imbalance which can cause your car to pull to one side of the road. Checking your car’s tires on a regular basis will help keep you and your family safe. In a climate which is constantly changing, the air pressure in your tires can go up or down depending on the outside temperature. Tires which are not inflated properly can lead to your tire’s tread being worn erratically. The easiest way to test your tires for their quality of tread is to grab a penny, insert it into the tread groove with Lincoln’s head facing down. If you’re able to see the space above his head, it’s time for new tires. 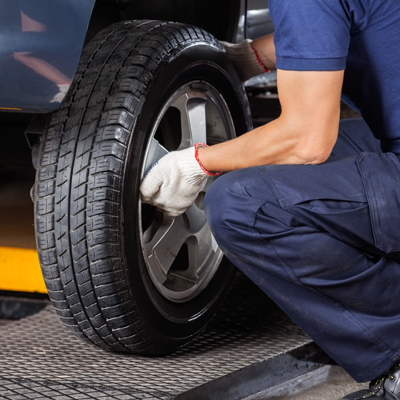 Noebull Automotive can perform tire maintenance and replacement for you at your next visit. Whether you need a rotation or a new set, give us a call and we’ll make sure you’re driving smooth once again.